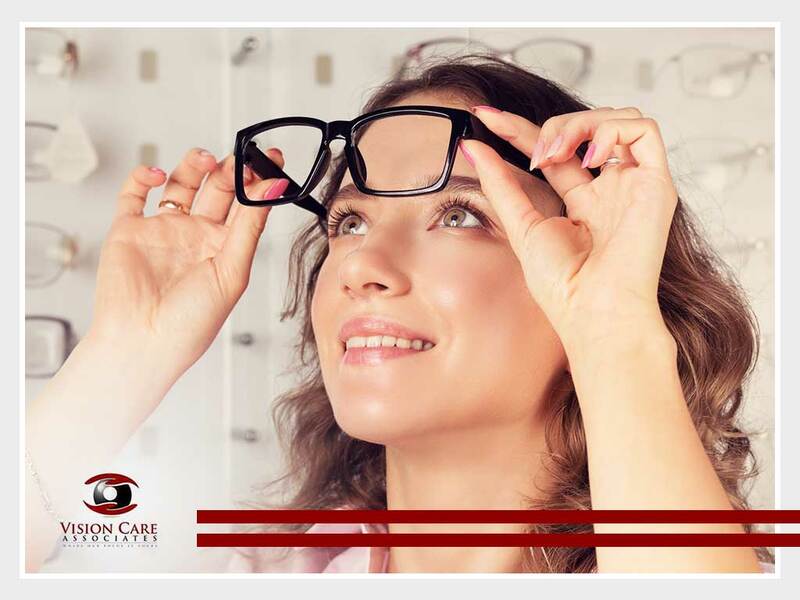 In today’s post, your local provider of optical services, Vision Care Associates shares tips on choosing the right prescription glasses. Polycarbonate and Trivex lenses are lighter and more impact-resistant than glass. Trivex is a good option for people with strong prescriptions but who prefer lighter, thinner lenses. Modern glass lenses now have better shatter resistance, but they are heavier and thicker than polycarbonate or Trivex. Polarized lenses are beneficial for people who spend a lot of time outside or face the computer for hours. They reduce glare and UV light that enters the eyes. Talk to certified opticians for advice on which lens type will work best for you. Metal, titanium or alloys are very durable frame materials. Rimless and the more popular plastic frames are lightweight. Soft plastic frames are recommended for young children. Choose a frame type that complements your face shape. For instance, rectangular frames look good on round-shaped faces, aviator frames suit square-shaped faces and those with oval-shaped faces can wear just about any kind of frame. Another thing to consider is your skin tone. Cool-tone frames like blue, silver, gray, and green go well with cool skin types. When it comes to neutral skin types, any color will do. If you have a warm skin tone, tortoise, brown, red, orange, gold, and yellow frames will look great on you. Anti-reflective coatings reduce glares and reflections. Brown or rose copper tints help with contrast. Photochromic or transition lenses look darker under the sun and lighter indoors. FL41, a special coating with boysenberry tint helps with light sensitivity for those with migraine. Follow a routine eye exam to monitor your vision and get the right prescription for your glasses. Visit Vision Care Associates, your local provider of emergency eye care services. We offer prescription eyeglasses and contact lenses for both children and adults. Call us at (304) 422-1841 or complete our online form. We assist patients in Parkersburg, WV.